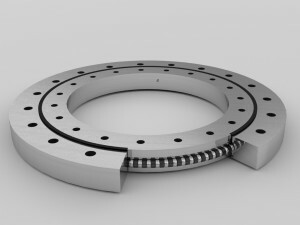 Slewing Bearing for Excavators and Tower Cranes. 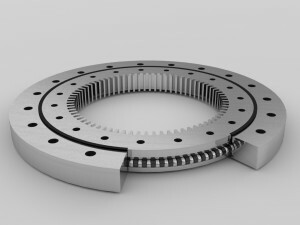 Single row ball slewing bearing by Kavitsu is an example of highest quality standards. 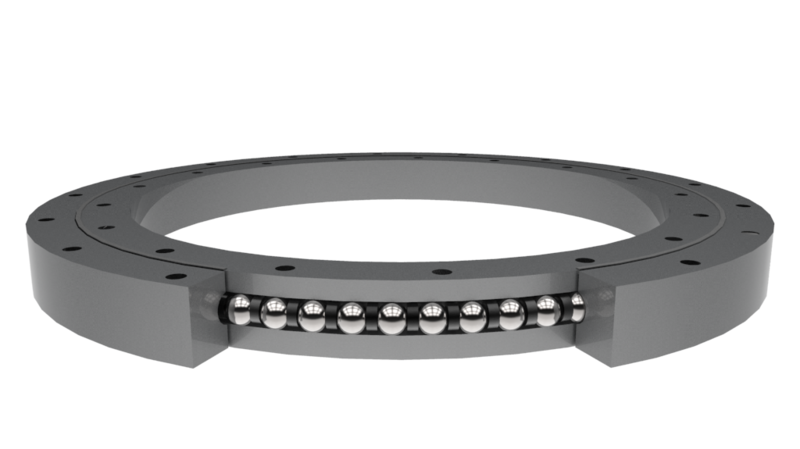 These four point single row ball slewing bearings are manufactured using precise machinery. The specially designed CNC groove grinding machine ensures perfect 4 point ball contact is maintained, which in turn makes sure that the slew bearing has higher life. Our range for single row ball starts at 100 mm and goes up to 3200 mm. The ball size is generally chosen with respect to the axial load and radial load coming on the Slewing bearing. It varies from 10 mm to 60 mm. 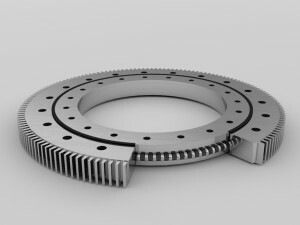 The loads are calculated using software to ensure correct selection for the slewing bearing. The material selection is done based on the input parameters and the requirement of the customer. Generally, the material selected for slew ring is C45 and En19 or 42CrMO4. Excavator and crawler applications as well as the boom cranes generally have the material as 50Mn. The balls are made of High chromium steel, generally denoted by 100Cr6 and the cages are made of either nylon 6 or nylon 66 depending on the load conditions.